Poverty, overcrowding, pollution, little education, & poor eating habits, were all contributors to the low health of children in Victorian England. Disease such as cholera, dysentery, scarlet fever, typhoid, tuberculosis & diphtheria were particularly rife amongst the young, & with little understanding of the causes, & potential cures it was left to a few well meaning people to attempt to rectify the situation. It was not until the Education Act of 1870, when an attempt to standardise education under National Rules, that anyone really had an idea of just how many children there actually were, & not until Sandon's Truancy Act of 1886, that there was any serious attempt to get children into schools on a daily basis. It was left to the likes of Dr Barnardo, Lord Shaftesbury & various Church charities to look after the health & welfare of children, & middle & upper classes saw it as their duty, to give to “the deserving poor”. In poorer areas orphanages were set up to take waifs & strays off the streets, but before long these became overcrowded, & outbreaks of disease spread, what was required was a building away from their present environment, where children could be treated & taught a useful place in Victorian society. Out of this, the orphanage & convalescent system came about. Most children were sent willingly by the parent organisations, but by the 1930's, County Councils, child welfare agencies, & doctors used the British Medical Journal to source available homes. The health giving properties of sunshine & fresh sea air were well established as being ideal conditions for convalescents after illness. Industrialised England with its smogs & slums was a long way from the idealised climate of Broadstairs with an average of 1700 hours of sunshine, a lower than average rainfall, artificially softened drinking water, & seawater containing sodium, bromine, & iodine, & with large expanses of sandy beaches for exercise. Few children had ever seen the sea, very few had been away from home before, & most had never been treated with the loving care & attention that they received from the nurses & nuns who attended them. The decline of the convalescent homes & orphanages came about after the formation of the National Health Scheme in 1947. More & more children were being treated at their own localities where health treatments improved. The numbers of orphans reduced as the parents health improved as the slums were cleared away. The necessity for these large buildings, which were becoming too expensive to maintain, put an increase strain on the parent organisations resources & by the 1970's virtually all had been closed down. Any records that exist are held by the parent organisations. 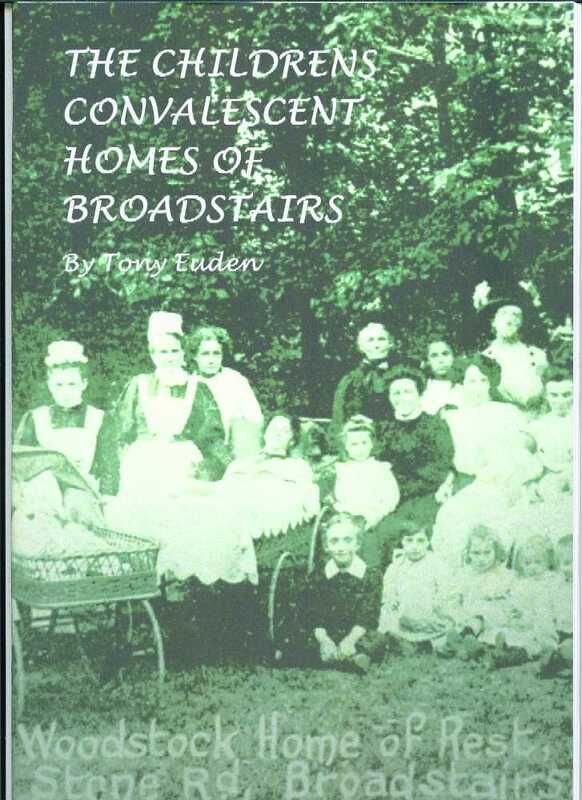 Though the homes were in Broadstairs, none were actually administered by the town Council.